Definition at line 38 of file app-layer-parser.h. Referenced by AppLayerParserParse(), and SSLVersionToString(). Definition at line 34 of file app-layer-parser.h. 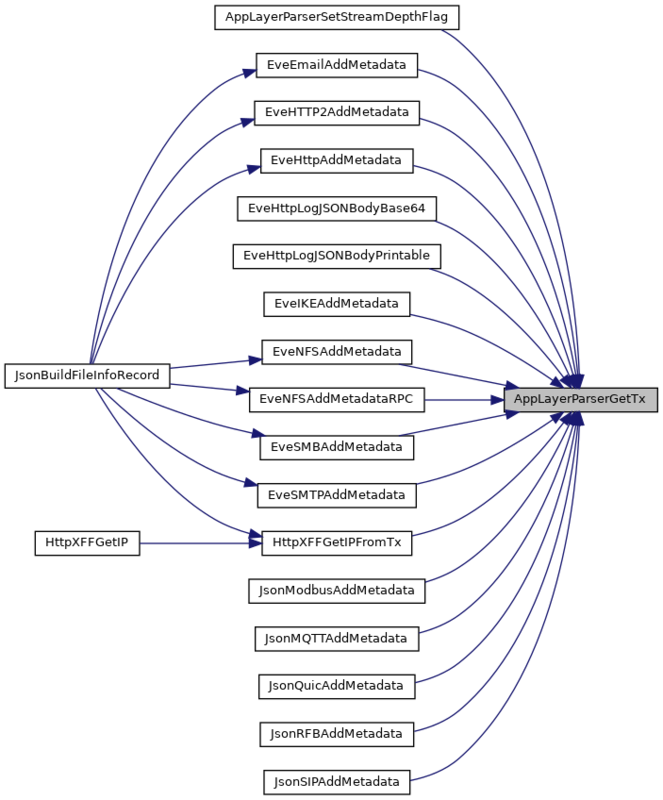 Referenced by AppLayerParserParse(), AppLayerParserSetEOF(), DCERPCParser(), OutputRegisterTxLogger(), RegisterTFTPParsers(), SMTPProcessDataChunk(), and SSLVersionToString(). Definition at line 43 of file app-layer-parser.h. Definition at line 35 of file app-layer-parser.h. Referenced by AppLayerParserParse(), RegisterSSHParsers(), RegisterSSLParsers(), and SSLVersionToString(). Definition at line 37 of file app-layer-parser.h. Definition at line 36 of file app-layer-parser.h. Definition at line 41 of file app-layer-parser.h. Referenced by AppLayerParserParse(), RegisterENIPTCPParsers(), RegisterNFSTCPParsers(), and RegisterSMBParsers(). Definition at line 48 of file app-layer-parser.h. Definition at line 51 of file app-layer-parser.h. Definition at line 112 of file app-layer-parser.h. 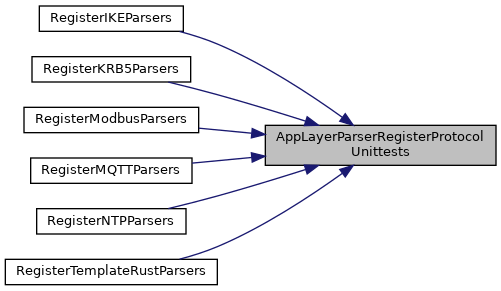 Definition at line 92 of file app-layer-parser.h. 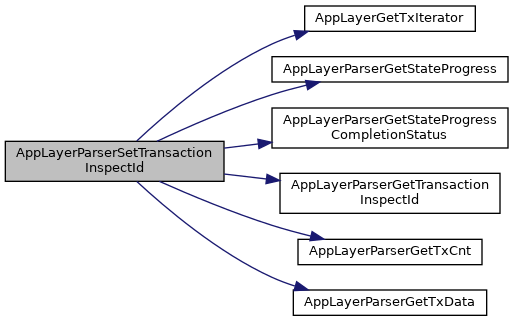 Definition at line 61 of file app-layer-parser.h. alproto_name Name of the app layer protocol.